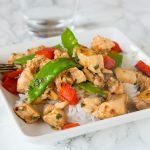 Kung Pao Chicken – quick and easy chicken stir fry packed with veggies and a little kick. Add whatever veggies you want and have dinner ready in minutes! 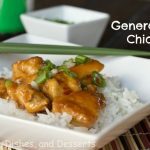 When I am struggling with what to make for dinner, I think Asian food is my go to. 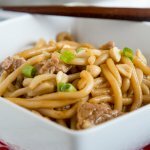 Something like Garlic Beef Noodle Bowls comes together in minutes, and my family loves it. Plus you can add any veggies you want, and make it even better for you. Five Spice Pork Lo Mein has been on repeat for about 10 years at our house. 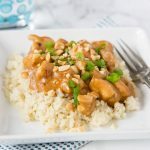 When I first started blogging I shared this recipe for Kung Pao Chicken, and the Asian obsession kind of started. 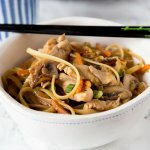 Now Chicken Lo Mein is kind of a staple. So today I am updating the pictures, and sharing this recipe with you again. 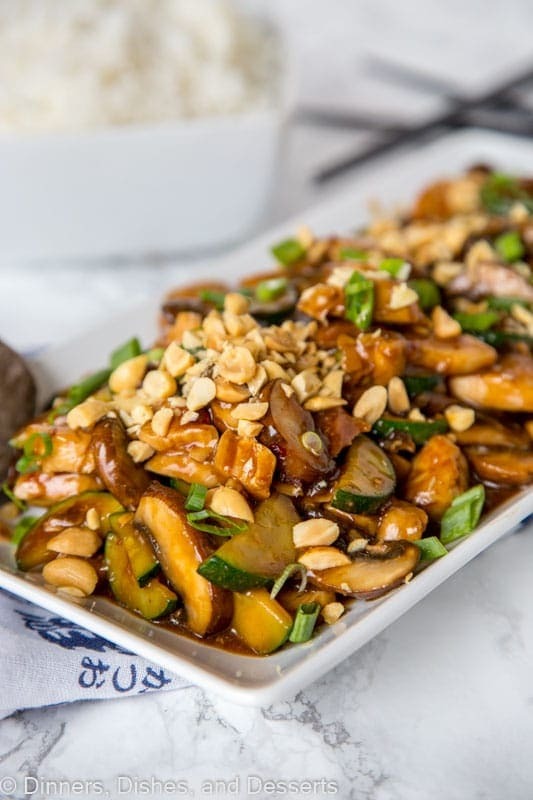 I completely forgot about this kung pao chicken until I was looking through some of the old recipes on my site. I made it for lunch one day, and I am really mad at myself I haven’t been making it all these years. It is so good. 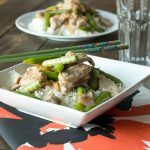 The sauce is sweet and spicy, and perfect over rice. 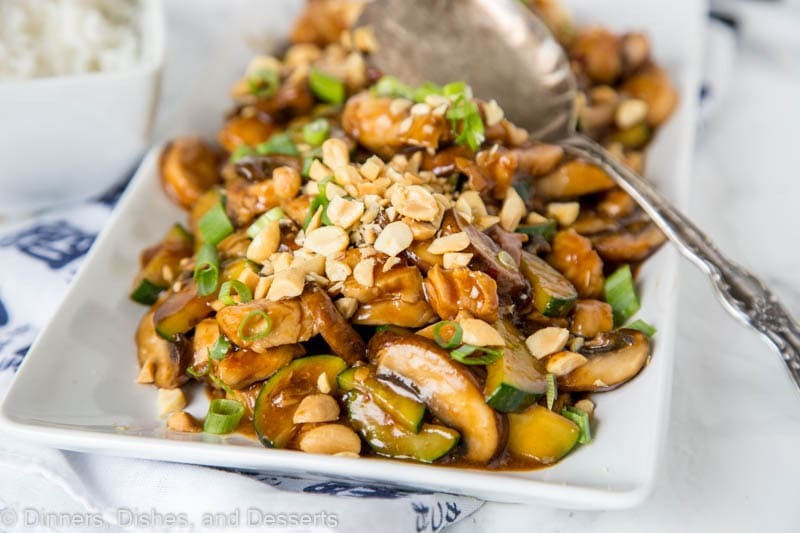 You can use whatever veggies you have in this dish. 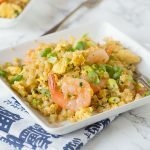 My husband would love this with green pepper, I think it would be great with broccoli as well. I settled on zucchini and mushrooms, and I have to stay it was pretty darn good. 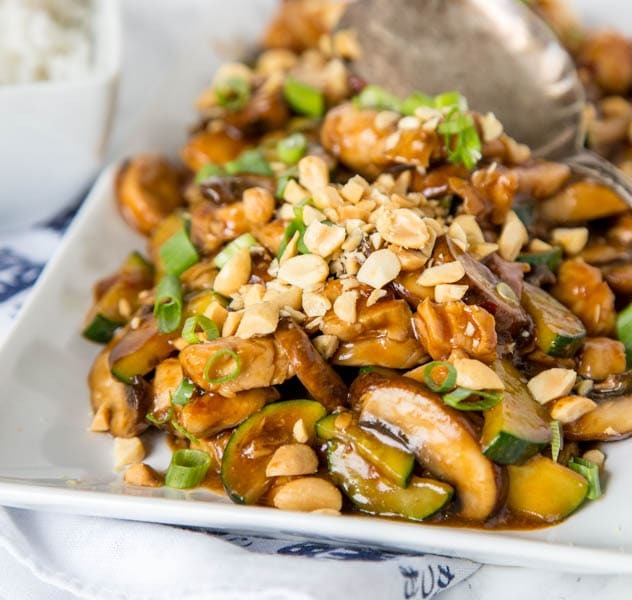 Plus, the Kung Pao Chicken uses pretty staple ingredients, so you can make it any night of the week. 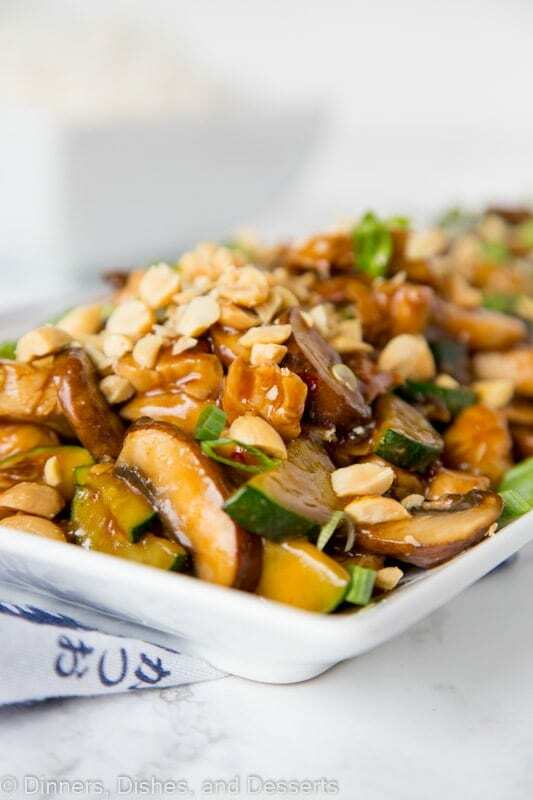 It is stir fry Chinese dish with chicken, peanuts, and veggies in a spicy sauce. 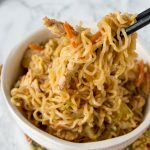 You can add whatever veggies you like or have on hand, which is part of the reason I like this. If I have zucchini, I will throw it in. A little broccoli, perfect just use it. 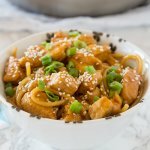 This kung pao chicken recipe is one of my favorite weeknight meals for how quickly it comes together. You can easily adjust the heat level for your families taste. My family likes things spicy, so I go a little heavy with the chili garlic paste. But if you like it mild use less. Make sure all of your ingredients are prepped and ready. Have your veggies cut, meat ready, and everything in place. 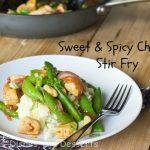 Stir frys cook quickly, so having everything prepped and ready makes it quick and easy to prepare. Mix all of the ingredients for the sauce together before you start. Use a liquid measuring cup to make it easy. Use a wok or very large skillet. Make sure the pan is nice and hot before you add ingredients. Brown chicken and then remove from pan to keep warm. Cover it with foil to keep it warm. You want to cook the veggies and the chicken separate, so the chicken doesn’t get over cooked while you saute the veggies. Add everything to the pan and let the sauce simmer and thicken. In a large zip top bag, combine 2 Tbls wine or chicken broth, 2 Tbls soy sauce, 1 Tbls oil, and 1 Tbls cornstarch dissolved with 1 Tbls water. Add chicken. Toss to coat. 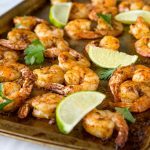 Marinate in the fridge for 30-60 minutes. Meanwhile make the sauce. Mix together 3 Tbls wine or chicken broth, 3 Tbls soy sauce, 1 Tbls oil, 1 Tbls cornstarch dissolved in 1 Tbls water, chili paste, vinegar, and sugar. Set aside. Heat a large skillet over high heat. Add the marinated chicken. Brown the chicken for 4-5 minutes, or until it is cooked. Remove from pan, cover with foil to keep it warm. Reduce the heat to medium high heat. Add vegetable oil to the pan. Mix in veggies and cook for 4-5 minutes, until crisp tender. Mix in garlic and water chestnuts. Cook for 2 minutes. 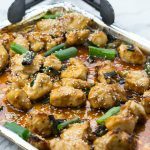 Add chicken back to the pan. Pour sauce over the chicken. Mix and bring to a boil. Cook for 2-3 minutes until the sauce starts to thicken. Hi Erin, this is just wonderful combination of flavors. I love how you made it! Thanks so much for sharing! Yeah, that is an estimate 🙂 Depends on how much Nutella you want to put in the middle! *swallows visibly* Oh, man. That looks beyond amazing. I love Nutella and have yet to bake with it, but I plan to soon…these muffins look very yummy! You know I’m all about these muffins! Man they have got me drooling! Oh heck yes! These look and sound absolutely amazing!! Yum! Thanks for sharing Erin, have a good one! =] Loveee this recipe! Yeah, nutella is a food of the gods. 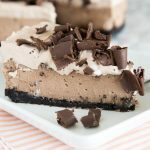 Lovin’ this recipe, I’ll have dessert for breakfast any day (and often do, oops)! My youngest is a nut for Nutella 🙂 I’ve got to try these! Great job on the index. I added one to mine recently too. Took me a whole day and I was cranky by the time I was done but happy it’s over with. I have to admit remembering to update it every day escapes me. These muffins sure are tasty. I have to thank you for putting me on to Nutella. I finally bought some and have baked with it twice. I am so impressed, super good stuff. Did a variation of these w/ Baker Street. Anything w/ Nutella is a winner! Mmmmm! I’m loving this, I need this! This is so much better than take out every could be! 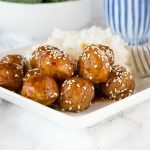 I am SO adding this to my Asian recipe arsenal! This looks perfect! 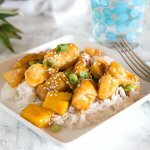 this is so delicious and totally better than take out! Homemade is best. This stir fry is so bold and vibrant. We just can’t get enough of it!! perfect! thanks for the recipe! Yum, my whole family will love this. I can’t wait to make it for dinner next week.